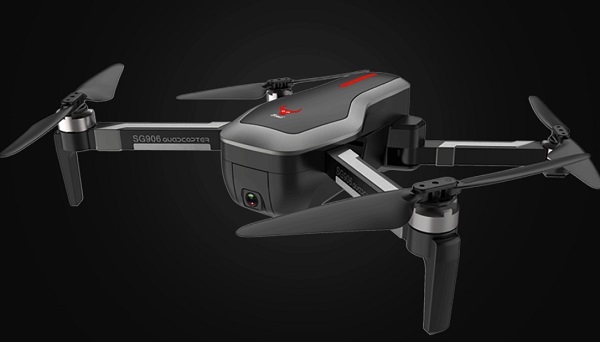 Today, I will introduce you a quite interesting drone, called ZLRC Beast SG906. According to the first rumors, the ZLRC SG906 Beast will be released with two type of cameras, full HD and 4K. Before you are getting too enthusiast, the UHD version will be capable to record 2K videos only. The “4K” badge refers only to the photo resolution. 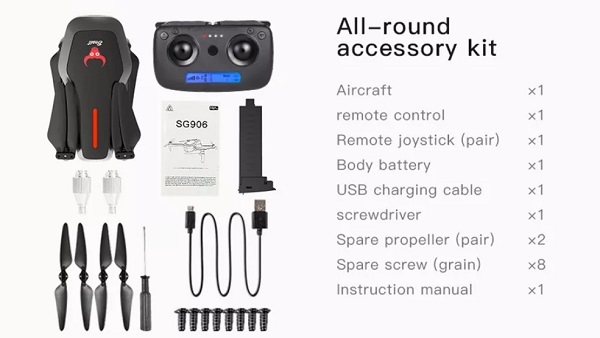 In terms of design, the ZLRC SG906 reminds me about the DJI Mavic Air. While folded measures 17.4 x 8.4 x 7cm, with extended arms is a bit larger, around 28.3 x 25.3 x 7cm. 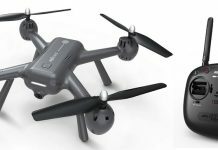 Being powered by a 2s/2500mAh battery, it has up to 25 minutes flight time. It will be available in bundle with 1, 2 or 3 LIPO packs. Taking into consideration that charging process takes about 5 hours, IMHO it would worth to invest in multiple batteries. About 23-25 minutes flight autonomy. 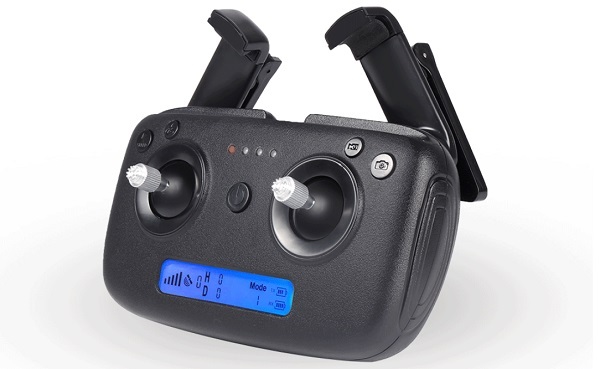 As you can see in the image above, ZLRC packs with the SG906 drone an entry level remote controller with foldable phone holder. The transmitter can be switched between mode1 and mode2 working modes. On front panel, besides the usual control sticks, there are only 4 control buttons. On the bottom of the radio controller there is a detailed status LCD which permanently shows the following telemetry info: RC signal strength, GPS signal, Flight height, Distance, TX battery and RC battery level. 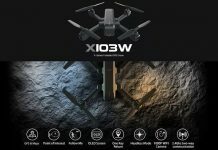 As for the price, the SG906 4K quad is listed for $169.99 on Banggood (including free shipping and one flight battery). Expected processing time for pre-orders is May 9, 2019.
there is also silver-white version, it look even better, it is called ZLRC Beast CSJ-X7. Please could your review it? ?